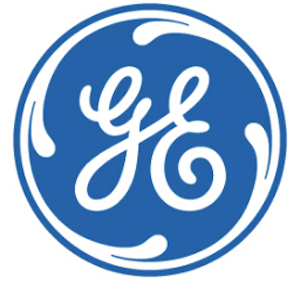 Industrial goods manufacturer General Electric (GE) has announced that it has decided to sell GE Capital’s fleet assets in the US, Mexico, Australia and New Zealand to Canada’s Element Financial Corp. for $6.9 billion. GE Capital Fleet Services provides commercial car and truck financing and fleet-management services. According to the company’s announcement, the sale is in accordance with GE’s strategy to focus on its high-value industrial businesses. The US and Mexico transaction is expected to close in the third quarter of 2015, and the A&NZ transaction in the fourth quarter of 2015, subject to customary regulatory and other approvals. GE also announced that it has signed a memorandum of understanding for the potential sale of its European fleet businesses to Arval, a fully owned subsidiary of BNP Paribas. If approved, the Arval transaction is targeted to close in the fourth quarter of 2015. “We continue to demonstrate speed and execution on our strategy to sell most of the assets of GE Capital. We are on track to execute sales of US$100 billion by the end of 2015 and expect to be substantially done by the end of 2016,” said Keith Sherin, GE Capital chairman and CEO. Element Financial is a fleet management and equipment finance company. GE Capital sold its Canadian fleet business to Element in 2013. “We see the opportunity to expand our fleet management operations into Australia and New Zealand as an excellent fit with our established North American operations,” said Bradley Nullmeyer, Element’s President, in a media release.